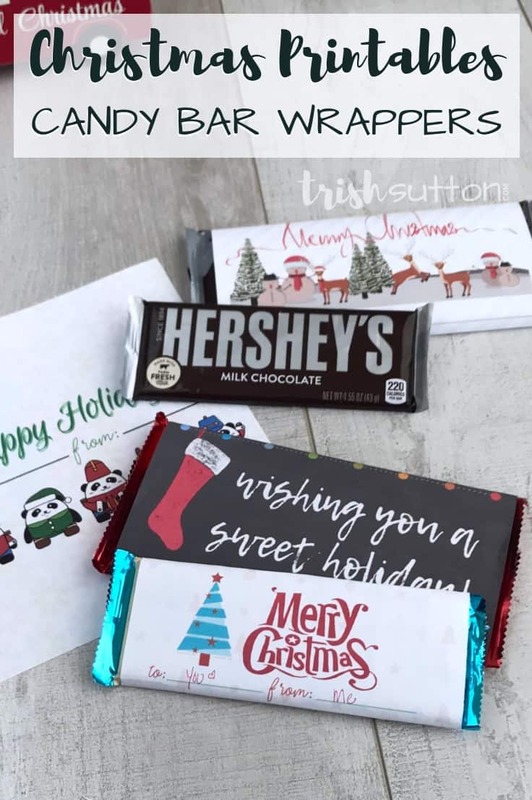 Create an inexpensive gift for a neighbor, teacher, friend or another chocolate lover by simply printing one of these four Printable Candy Bar Wrappers for Christmas. Merry Christmas, Happy Hanukkah & Happy Holidays to you! 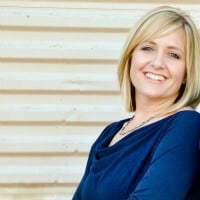 Trish here with another simple idea that will make gift giving both easy and inexpensive. 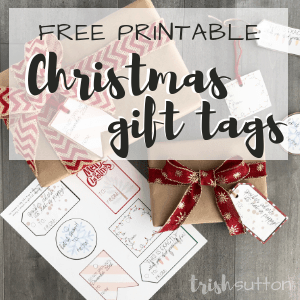 You will only need a few supplies including candy bars and one of my four free printables to quickly create these sweet gifts. 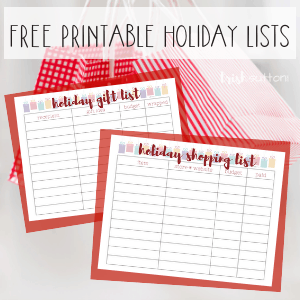 I have created printables to fit both regular size candy bars and king size candy bars so whichever it is you are giving, you are just minutes away from having another name marked off your list. 1. 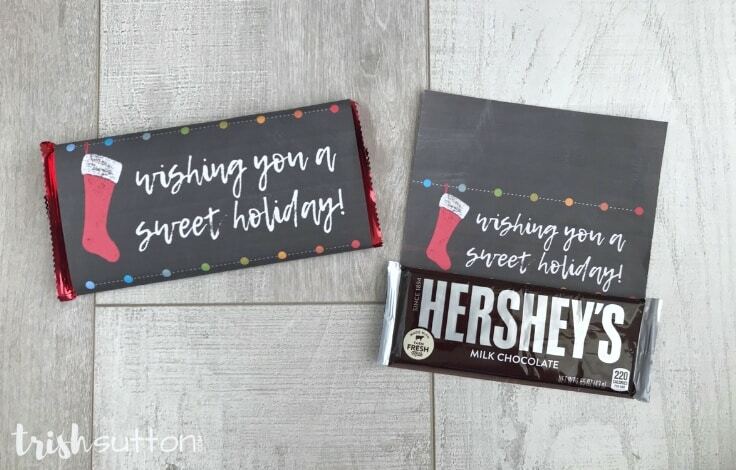 Get the free printable holiday candy bar wrappers. 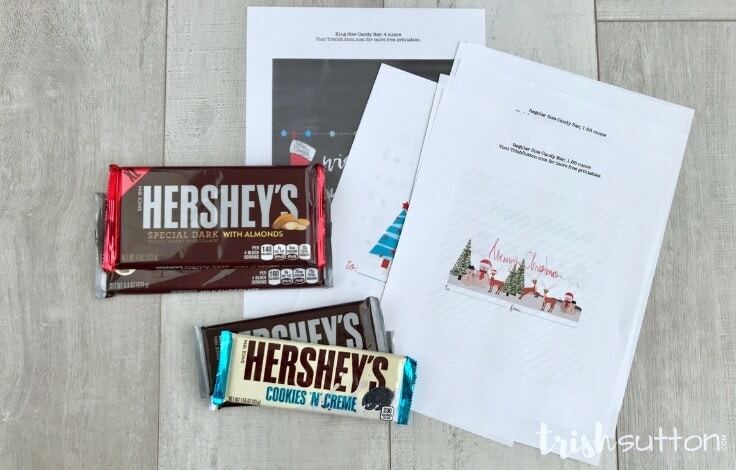 The printable candy bar wrappers are available as a FREE gift when you sign-up below! Then you just need to download the PDF file and save it to your computer. This printable candy bar wrappers and all other free printables from Ideas for the Home by Kenarry™ are for your own PERSONAL USE ONLY. 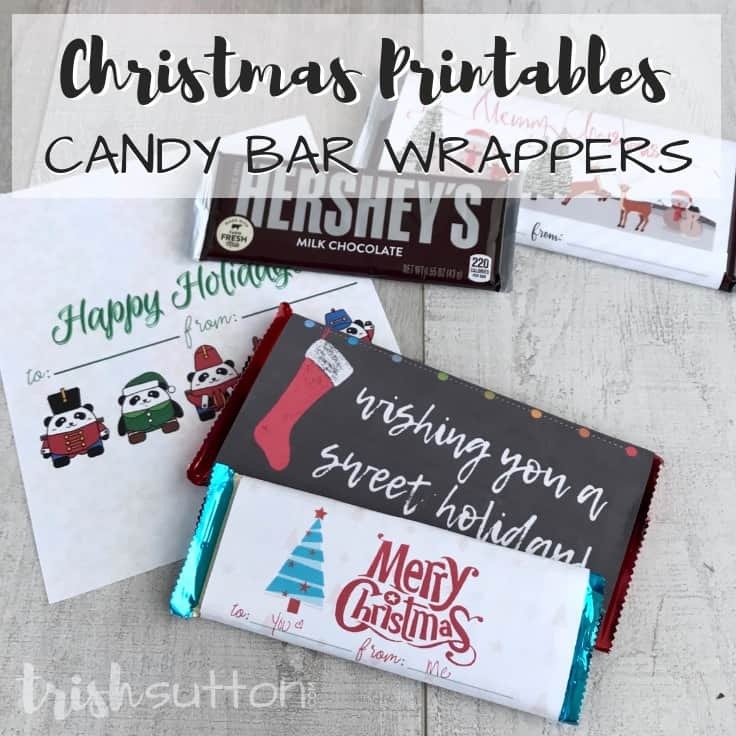 After you decide if you will be giving a sweet regular size gift or king size gift, select that size Candy Bar Wrappers in the printables library then print it on regular paper. Be sure to add names to the “to” and “from” lines before moving on. 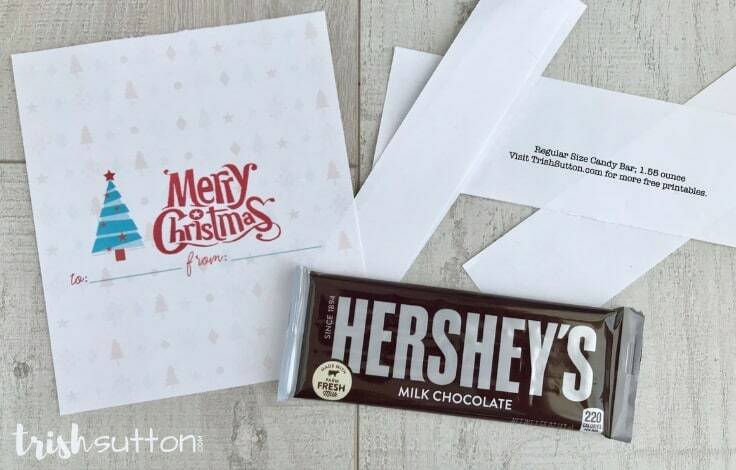 Simply center the Christmas Candy Bar Wrapper around the candy bar then gently fold the paper around the edges of the chocolate bar. 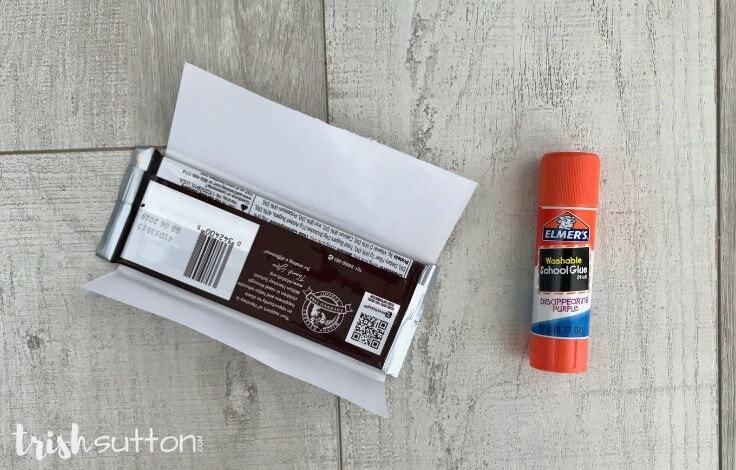 Swipe your glue stick along the inside of the overlapping paper edge then firmly press the wrapper to secure the new label to the candy bar. 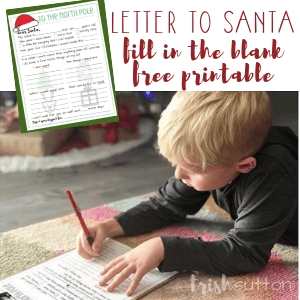 Share your sweet gifts with neighbors, teachers, friends and chocolate lovers alike then check out more of my free holiday printables on my website.